WINTER IS COMING, and that means that your leather shoes are in peril. Snow, rain, road salt … they’re all going to take their best shots at jacking up your favorite shoes, but what they don’t know is they don’t stand a chance because this year, you’re going into winter prepared. Here’s how. The best best best thing you can do for your leather shoes is to apply a protective coating to them. This is especially true for people who live in cold and/or damp climates, where snow (and its attendant salt) and rain will do a real number on your leather goods. Jason Markk Repel can be used on leather, suede, nubuck, nylon and canvas, and the pump spray mechanism allows more control when applying the protectant than similar products that use aerosol sprayers. An important thing about leather—one that we tend not to dwell on so much—is that it’s a hide. And just like our own hides, leather likes to be cleaned and moisturized from time to time. 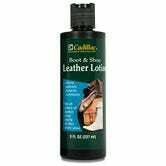 There are loads of very good leather conditioners out there, but it just so happens that Cadillac Leather Conditioner and Cleaner is what I use, and therefore what I recommend. Makes sense, right? Right! Using this stuff is so dumb easy: Apply a thin layer of the conditioner to the leather using a soft cloth, let it sit for about 15-30 minutes, then wipe it off with a clean cloth. That’s all! Even if you regularly use leather conditioner on your shoes, over time the leather will get dinged and scratched, at which point it’s time to give them a good polishing. Tempting though it is to take a shortcut, skip those bottles of shoe polish that come with the attached foam applicator tip, and opt for tinned shoe polish instead. 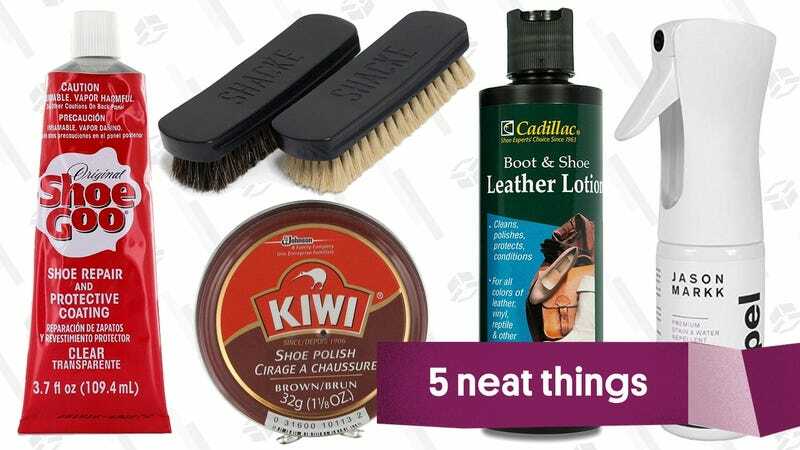 Kiwi is a great entry-level brand for all your shoe polish needs; if you’re just starting out and have a decent-sized collection of leather shoes, this trio of polishes — black, brown and a neutral polish that can be used on any color leather item — is a good place to start. 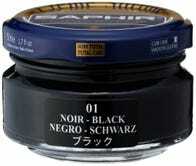 If you’re interested in leveling up to The Really Fancy Shoe Polish, Meltonian and Saphir are the brands you want. We’re all friends here, so let me level with you and say that an old t-shirt or sock is the only shoe polishing tool you need. Buuuuuuuut shoe brushes are still great, not just for polishing purposes, but also for use for regular maintenance of leather shoes, bags and jackets. 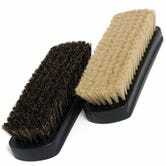 A shoe brush lets you to brush away dirt and dust prior to cleaning and polishing, or in between wears to keep a polish job looking fresh longer. Wildly expensive, super fancy shoe brushes exist in this world, but if you don’t want to spend more on a brush than you have on a pair of shoes. This set of two brushes — one light, one dark — is a great investment for only 13 bucks. Last year, my Hunter boots sprung a leak. It was very annoying to me! I mean, soggy socks are a terrible feeling all around, but it’s an especially terrible feeling when the socks have become soggy because you’re spendy rain boots have a hole in them. 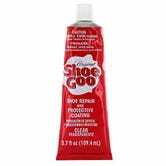 Enter Shoe Goo! 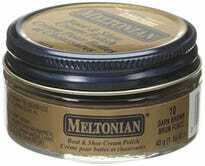 It’s the stuff you need to repair worn or damaged soles. Did the sole of your UGGs detach from the upper? Shoe Goo. Has the rubber on your Chuck Taylors started to split? Shoe Goo. Have the wooden soles of your clogs started to come away from the leather uppers? Shoe Goo.